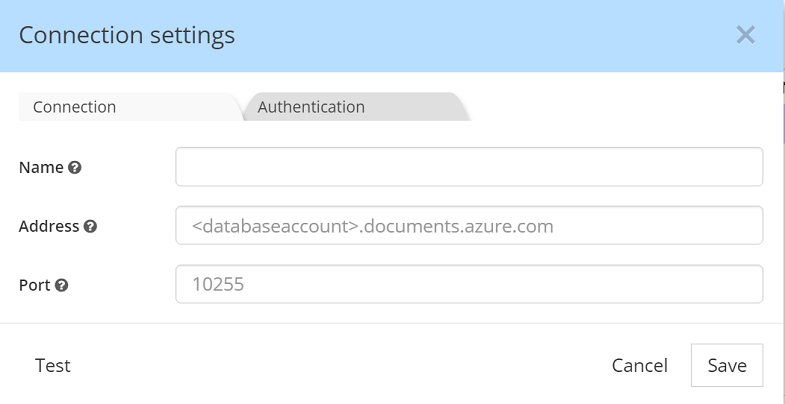 Go to the Azure portal to retrieve your connection information. More info here. 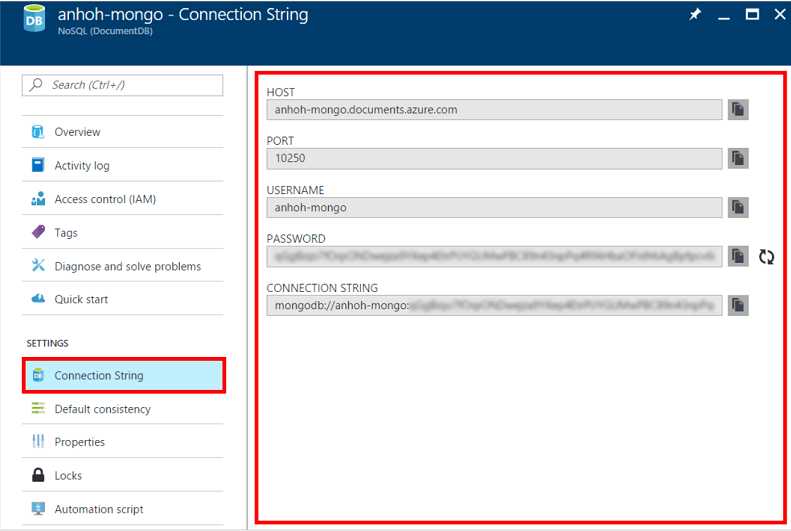 In the Azure portal, navigate to your Azure Cosmos DB account, and click on Connection String. Copy the HOST from the portal and paste it into <Address>, then enter the port number 10255 into <Port>. Then go to the Authentication tab, and copy the the username and password.